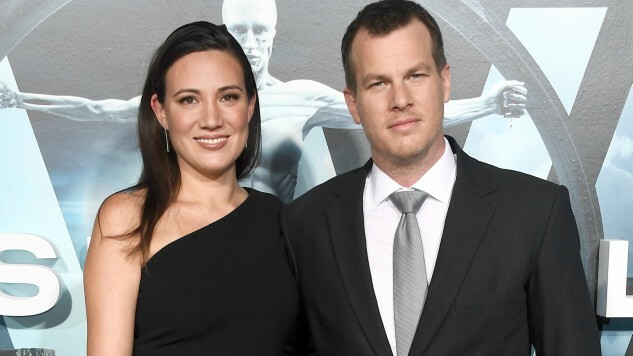 As if taking on the complexities of artificial intelligence, weaving a multiple-narrative story jumping through timelines and somehow making it good for mass audiences isn’t difficult enough, Westworld co-creators Jonathan Nolan and Lisa Joy are now tackling alternate futures and videogame alternate reality in the tech drama The Peripheral. According to Deadline, Amazon has picked up the project with a possible series option, putting The Peripheral in script development and getting negotiations with Nolan and Joy underway. The script is originally written by A Simple Plan Oscar-nominated writer Scott B. Smith, based on William Gibson’s novel, with veteran TV director Vincenzo Natali directing. Natali previously helmed two episodes of Westworld. He will also serve as executive producer on the project alongside Smith, Westworld co-executive producer Athena Wickham, Nolan and Joy. There’s no news on possible The Peripheral casting options as of yet. The series is still in the early stages of development, so it will likely be a while before we get to see it. However, in the mean time, we have Westworld season two to look forward to. The new season debuts Sunday, April 22—be sure to check out the trailer here.